Thanks for this write-up Emma, kudos for this very interesting work! What I enjoyed about this blog was the thought you put into thinking about how innovation challenges like Malaysia’s can feed into a SIB pipeline. We’ve worked with a very similarly designed program to “Berbudi Berganda” here in Colombia. Based on this and looking at the organizations coming out of similar innovation challenges across Latin America we’ve found that–for the vast majority of innovations coming out of these incubators–SIBs are rarely the best-fit for scaling their innovation. We’ve also found that these innovation challenges tend to work with relatively early-stage innovations and that the seed grants typically aren’t enough to get the organization to get to a stage of “SIB-ready”. I’m wondering if you’ve come away with similar impressions from your work in Malaysia or how perhaps Malaysia’s AIM is designing their innovation challenge differently in order to make it a more effective SIB pipeline! Thanks, Michael! It would be great to have a little overview of the Columbian journey – if you’ve done one, please share the link? If not – can I publish/copy it here? I think it’s too early to tell how far the Malaysian innovation challenge will take the organisations involved – their program has only just begun. But I guess one difference is that it’s more like a venture philanthropy model, where Agensi Inovasi Malaysia will work with these organisations the whole way through to contracting with them. 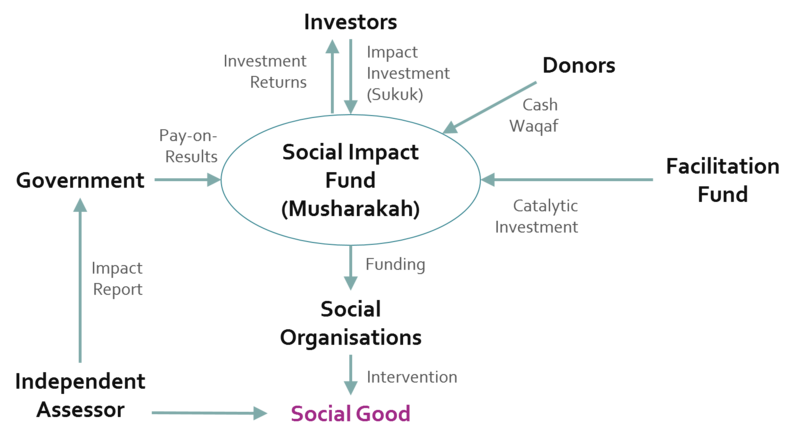 In the venture philanthropy model, organisations don’t really ‘come out’ of incubators – they form a relationship with their funders for their whole development trajectory. But I think this is one we just need to watch as it develops – I’ll update as things progress.